Key Difference: Scholarship is a financial grant aid awarded to students to help them pay for their education. It generally refers to grants in support of undergraduate education whereas fellowship often provides grant to support post-baccalaureate projects or to pre-baccalaureate projects which may be carried outside the normal curriculum. Both are grants. 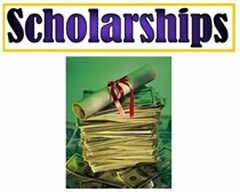 Scholarship is a financial grant aid awarded to students to help them pay for their education. It generally refers to grants in support of undergraduate education whereas fellowship also provides grant to support post-baccalaureate projects or to a pre-baccalaureate projects generally carried outside the normal curriculum. Both are grants. However, due to this little difference between these two terms they are used interchangeably. Basically all scholarships and fellowships are grants. Scholarships and fellowships provide great encouragement to students in terms of financial aid as well as emotional support. They do not have to be repaid. Scholarships generally include merit based, need based, student specific (quality based upon gender, race, religion etc), and career specific or college-specific scholarships. The donors may include institution, corporate, individual or alumni. Unlike scholarships, fellowship grants often include an internship or other service commitment for a period of one or more years. In a broader sense, a scholarship aims at support purpose of study whereas a fellowship is generally granted to support purpose of research. As clearly evident from the meanings, the scholarship and fellowship programs are serving students to fulfill their desire of capacity building in today’s world. These grants lead students to higher degrees and achievements. Meaning of fellowships can differ depending on the context; for example a medical fellowship provided to the specialized doctors assist them to complete their training and work for hospital. In U.S. these specialists are called fellows. Unlike Scholarships, fellowships usually include donor’s questioning regarding students performance in research work. 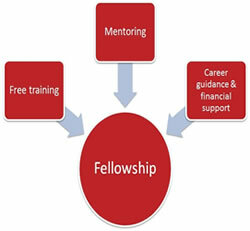 Most fellowships are also considered as scholarships, but scholarships may not be fellowships. Some differences exist between a fellowship and a scholarship, but these can vary depending on the grant-giving organization. Scholarships are also provided on need based but on the other hand fellowships are mostly based on skill and qualification. Another difference that can be considered is that fellowships mostly involve payment in exchange of some type of work, that can be teaching, extra training in hospital(in terms of Medical Fellowship) etc. Scholarships can be provided as one time payment or payment in terms of paying for school expenses whereas fellowships are generally paid in increments like monthly stipend etc.